The Statists are Failing; Central Planning is Not Perfect? You know you’ve got a problem when even the best don’t have the solution. Finland, a first-rate place in which to be a mother, has registered the lowest number of newborns in nearly 150 years. The birth rate has been falling steadily since the start of the decade, and there’s little to suggest a reversal in the trend. Demographics are a concern across the developed world, of course. But they are particularly problematic for countries with a generous welfare state, since they endanger its long-term survival. To do that, the fertility rate should equal two per woman, Schauman says. It was projected at 1.57 in 2016, according to Statistics Finland. That’s a surprisingly low level, given the efforts made by the state to support parenthood. Perhaps nothing illustrates those better than Finland’s famous baby-boxes. Introduced in 1937, containers full of baby clothes and care products are delivered to expectant mothers, with the cardboard boxes doubling up as a makeshift cot. 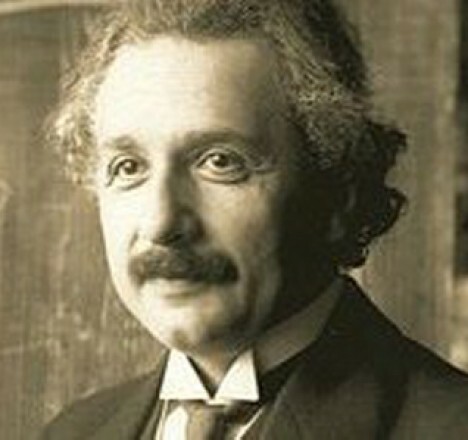 The idea behind the maternity packages was prompted by concerns over high infant mortality rates in low-income families. The starter kits were eventually extended to all families. Offering generous parental leave and one of the best education system in the world doesn’t seem to be working either. 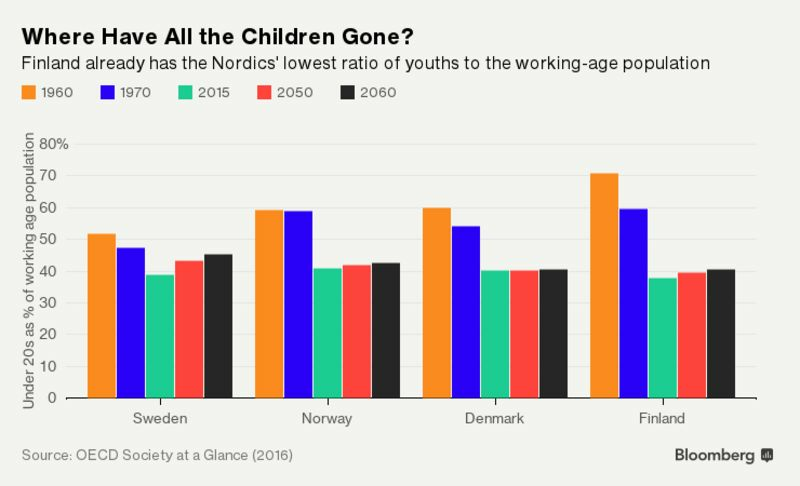 According to the OECD, Finland already has the lowest ratio of youths to the working-age population in the Nordics. And it also has the highest rate of old-age dependency in the region. The situation is only likely to get worse, according to OECD projections. 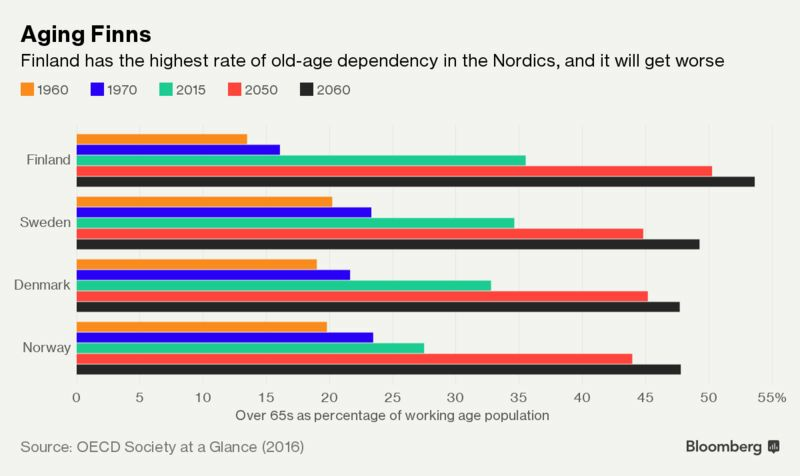 The European Commission says demographic factors are limiting Finland’s economic growth potential, which is estimated to peak at 1.9 percent in 2035 and flatten at 1.5 percent between 2050 and 2060. Reversing the modern idea that it’s ok not to have kids is impracticable. Opening the doors to immigrants is a political no-go area (Prime Minister Juha Sipila’s center-right government relies on the support of nationalist lawmakers). The leader of the opposition Social Democrats, Antti Rinne, caused a stir in August when he urged women to fulfill their patriotic duty and have more babies. The government has been working with employers and trade unions to boost gender equality by making parental leave more flexible and the benefits system simpler. The reforms are expected to come into force in 2019. Schauman believes that won’t be enough. “The discussion has revolved around gender equality and the employment of women, with the issue of natality sent to the background,” she said. What Finland really needs is a political program that treasures the family and increases the value of parenthood, the economist argued. The baby boxes that are delivered to expectant mothers contain all sorts of goodies. They include bodysuits, leggings, mittens, bra pads, talcum powder, lubricant, a hairbrush and a bath thermometer. One suggestion is to leave out the condoms.